Every once in a while a cookbook comes along that is at once so useful and so spirited you can imagine it becoming a kitchen staple. The Commonsense Kitchen is such a book. And it's from an unusual source: one of the toughest colleges to get into in the United States, Deep Springs is an organic farm, school, and working cattle ranch in the high desert of the Sierra Nevada. This general cookbook has more than 500 recipes for delicious, honest staples and sassy regional specialties such as Red Chile Enchiladas and Mama Nell's Kentucky Bourbon Balls. What's more, this book features amazing food as well as lessons in life skills, from the proper way to wash dishes to how to make homemade soap. 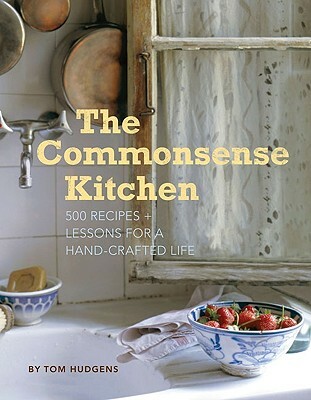 The Commonsense Kitchen is equally at home on the shelf of an urban foodie or a rural home cook. Tom Hudgens attended and cooked at Deep Springs Ranch, Chez Panisse, and Liberty Cafe in San Francisco. He teaches at College of Marin and lives in the San Francisco Bay area."